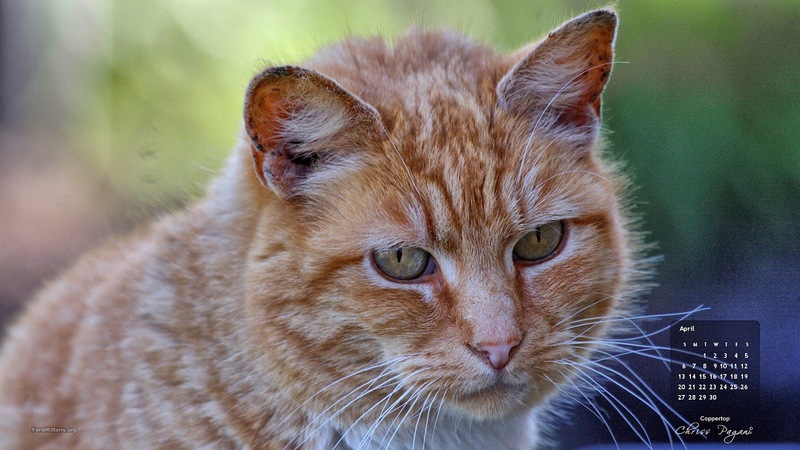 She's been featured here quite recently but I couldn't pass-up the chance to photograph her adorable face again; our own beloved barn cat Coppertop is April's Cat of the Month! Use the links above to pick the size ratio that matches your monitor. 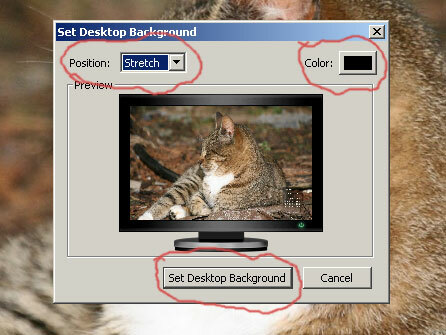 Now, I know that many people don't know what display size they have on their monitor - it's okay. The first two are wide monitors. 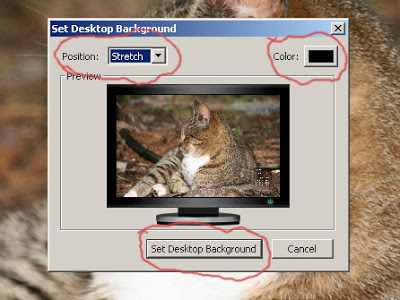 If you have a wide monitor and one image doesn't look quite right, try the other one. The third version is for the older analog tv type displays. We still have a few of them. Old TV 4:3 - 640x480, 1024x768, 1280x1024, 1440x1152 etc. The size shown in italics above is the actual image size that I've linked to, but as long as you pick the right ratio it will look GREAT on your monitor using "Stretch" or "Fit to screen" as your option when you set an image as your wallpaper. The easy right-click desktop wallpaper method works with Safari, Explorer and Firefox. Many versions of the Chrome browser make it a little harder: Right-click and select "Save image as..." Remember where you saved the file. Then go to your desktop, right-click, select the "Desktop" tab, click "Browse" and navigate to the place where you saved this file. Select the file and click OK.
Any problems or questions? Leave a comment and we'll see if we can work it out. Or visit me on Twitter or Facebook. Comments are welcome! I always answer questions if I can.